After taking most of ZAGG's larger keyboards for a spin over the last two years, I was very interested in checking out their latest creations for the new iPad Mini. At the time I saw ZAGG's press release, I already knew that I would be getting my wife an iPad Mini for Christmas. However, after playing around with her's a bit, I decided to downsize as well, and switch to a 32GB Mini myself. 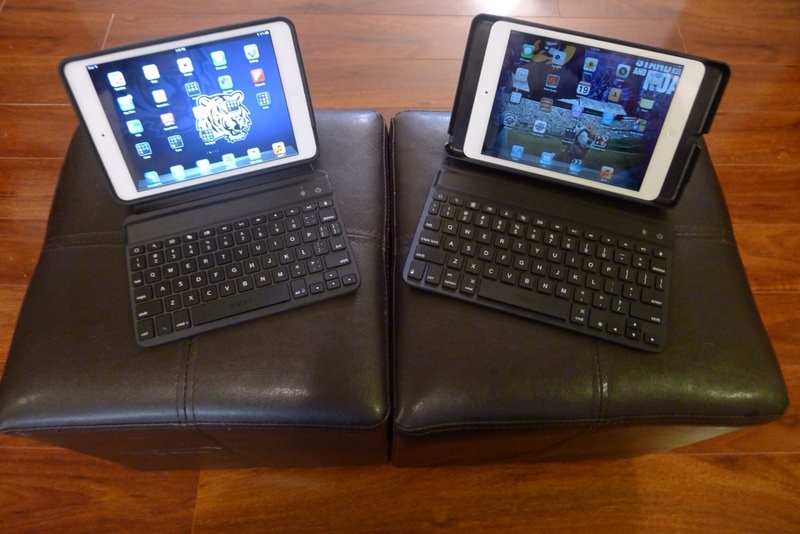 ZAGG's Mini 7 and Mini 9 are the first dedicated keyboard cases that I have seen from a major manufacturer that are made specifically for the iPad Mini, so it made sense to take a good look at both and see how they stack up with ZAGG's larger models. One of the first things that you notice when you take either Mini out of the box is that it is unlike any other ZAGG keyboard case to date. The ZAGGfolio, which is designed for the 2nd-4th gen iPads, featured a long base with plenty of room for a dock for the tablet behind the keyboard section. This meant that the case was all self-contained, with no need for a kickstand. The design added stability and was feasible for a device the size of the iPad 2, 3, or 4. However, the smaller iPad Mini is a much different matter. Making a keyboard that fits the tablet's near 8″ size is already a real challenge, much less trying to make it smaller to copy the ZAGGfolio's design. Also, I'm sure the typical iPad Mini user came to mind during the design process, as well. While some will choose a smaller iPad solely based on the cheaper price, a number of users like myself, have chosen the Mini based on its size and weight. 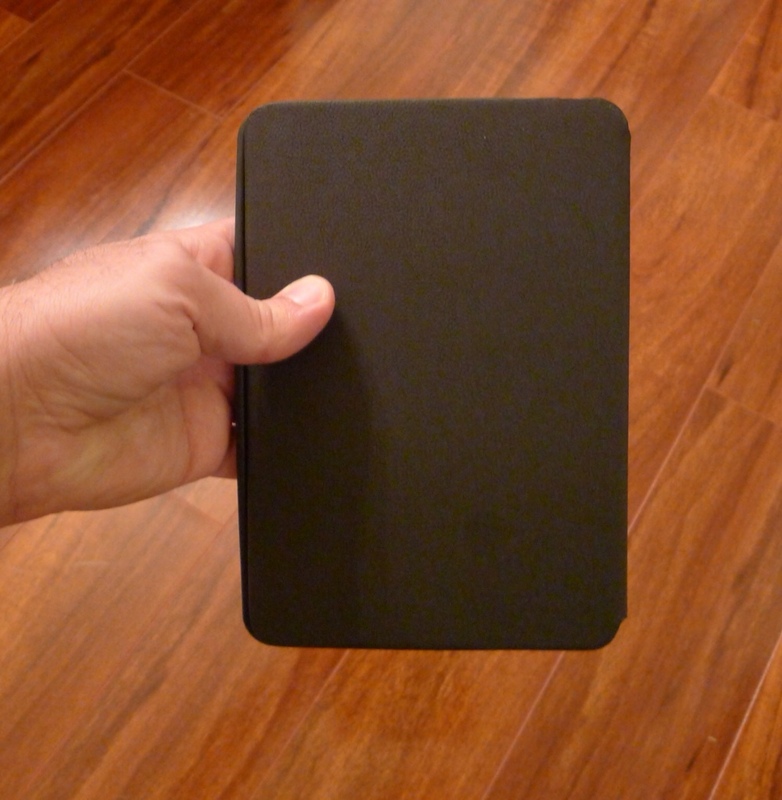 Producing a case that doesn't turn the iPad Mini into a boat anchor is of utmost importance for those consumers. Taking all this into account, it is pretty clear that ZAGG went back to the drawing board, and built completely new devices in the Mini 7 and Mini 9. In terms of size and build, it is tailored to the smaller size of the iPad Mini. ZAGG's Minis strike a good balance, adding plenty of protection without a ton of extra size and weight. 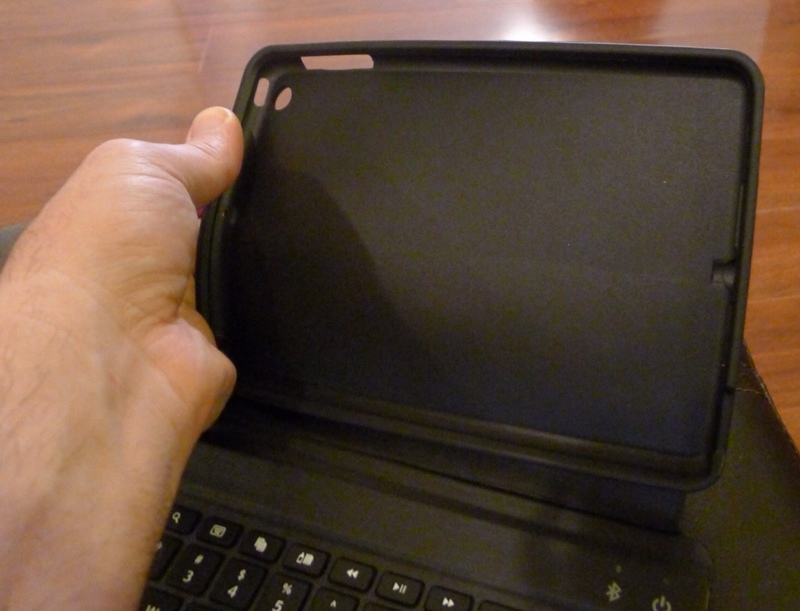 The case easily fits in the hand, and is comfortable to carry around. The notches and cutouts for the iPad's buttons, headphone jack, lightning adapter, and camera are perfect, which is exactly what you would expect from a ZAGG case. The rubberized exterior material is also very easy to grip, and should provide extra shock protection in case of a fall. While the Mini 7 isn't as beautiful to look at or luxurious as some of the ZAGGfolio models, it still looks good while keeping your iPad Mini safe. It would not look at all out of place in a meeting, but it will also stand up to a mechanical room, making it a versatile case for someone like me that can find themselves in both places in the span of a single work day. I should go ahead and admit that I hate kickstands. Pretty much ALL kickstands. On anything. Ever. Then again, think about where you usually see them. They are most common on inexpensive, poorly made cases, and as such, rarely work very well. 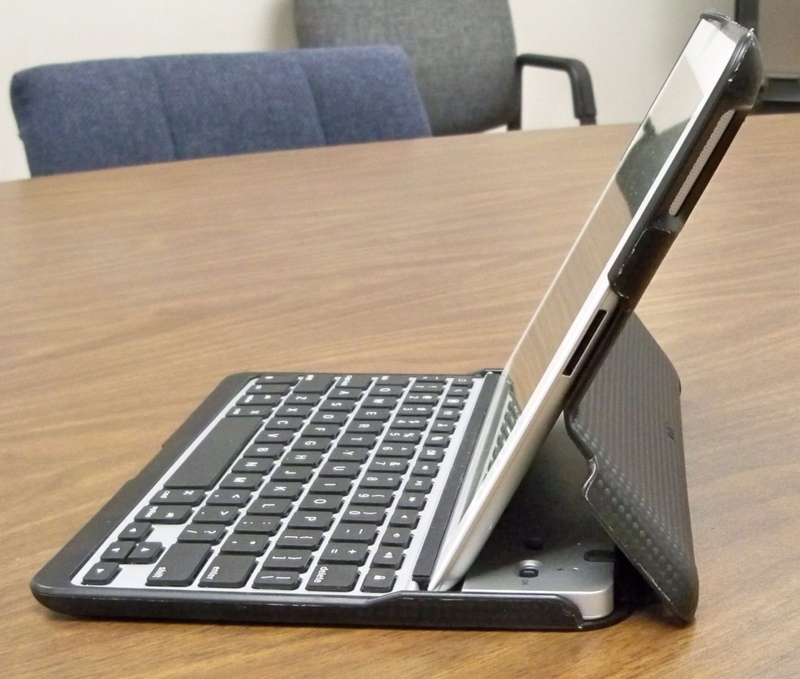 I have used two different cheap keyboard cases designed for 7″ Android tablets, and the stands could not be counted upon to hold the tablet up unless they were on a solid flat surface, and never moved. Even when used in an ideal location, they still weren't very stable, or durable. So, with this negative previous experience, I was a bit skeptical when I saw those first pictures of the new ZAGGkeys Mini cases. 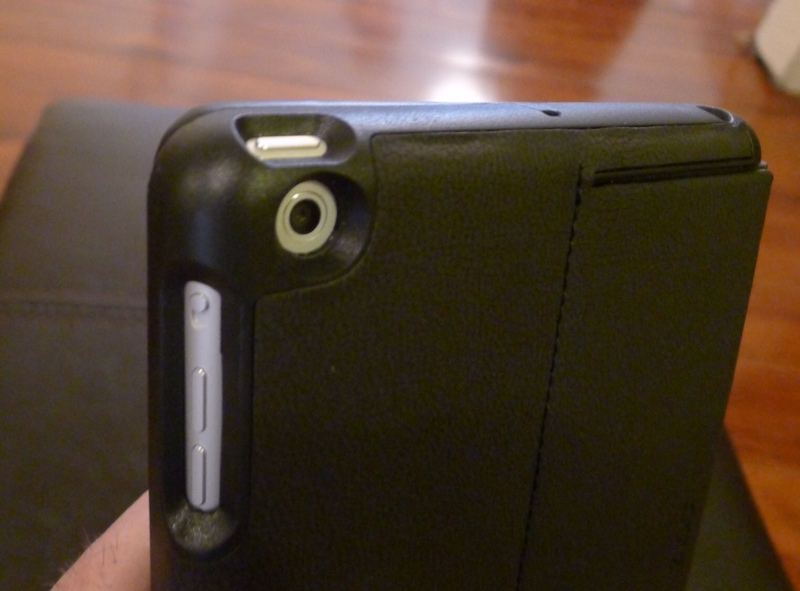 Thankfully, true to ZAGG's normal form, they have far exceeded my expectations with the kickstands on the Mini cases. Once the stand is fully extended, it not only works well on a flat surface, it is also strong and stable enough to function in an adult's lap or on other softer surfaces. I wrote this entire review using both Mini cases, and most of the typing we done with them in my lap. Stability was never an issue. The stand never once collapsed on me, making the Minis a happy exception to my no kickstand policy. Another issue I have often seen with kickstands is their instability when not in use. They often flop around and get in the way. This is an even bigger issue with flimsy ones, as they can get bent and beaten up if they aren't secured while carrying your tablet around in the case. Again, this is not an issue with the Minis, as ZAGG obviously took great care in designing these kickstands to be durable, and to stay out of the way when not in use. First off, there is an elastic band to keep the kickstand from collapsing or being overextended when in use. Then comes one of those simple, but perfect design decisions that help to distinguish a device from its competitors. 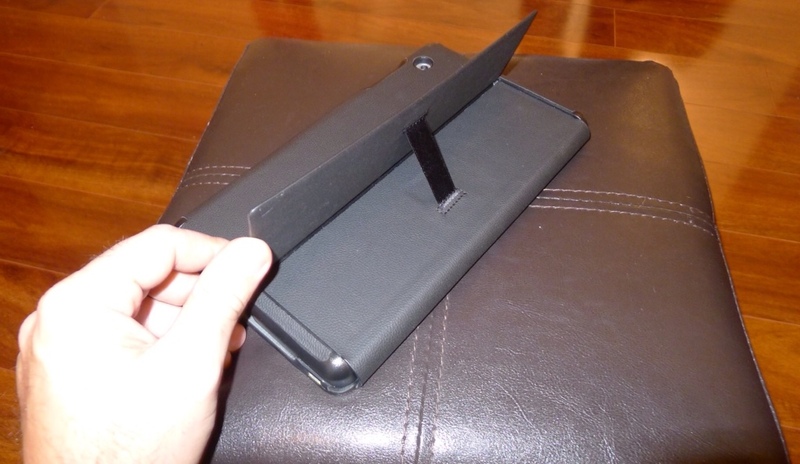 ZAGG included magnets to keep the kickstand securely closed and flush to the case when not in use. I even tried holding the case up with the kickstand facing down to see if it would flop open. It never did. Here's a note to all the device and case manufacturers out there. Between Microsoft's new Surface tablet, and the Mini cases from ZAGG, you have all the examples you need to build a high quality and functional kickstand. Go forth and get to work. I still don't prefer kickstands personally, as they tend to take up more space when in use. 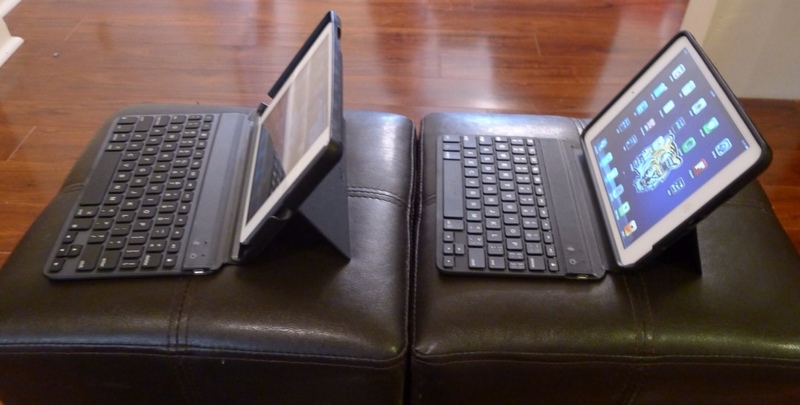 Both the Surface with keyboard, and the Mini cases are good examples of this fact. However, I also understand the reason ZAGG went with this design. The iPad Mini is a much smaller device than its big brother, and a kickstand back with the entire cover dedicated to the keyboard just makes good sense. You can't very well have two keyboard case models two inches apart without some noticeable differences. However, there were actually more than I expected. Both of the keyboards are a little on the flexible side, but you tend to notice it more with the larger 9″ model, which I guess is natural at its larger size. 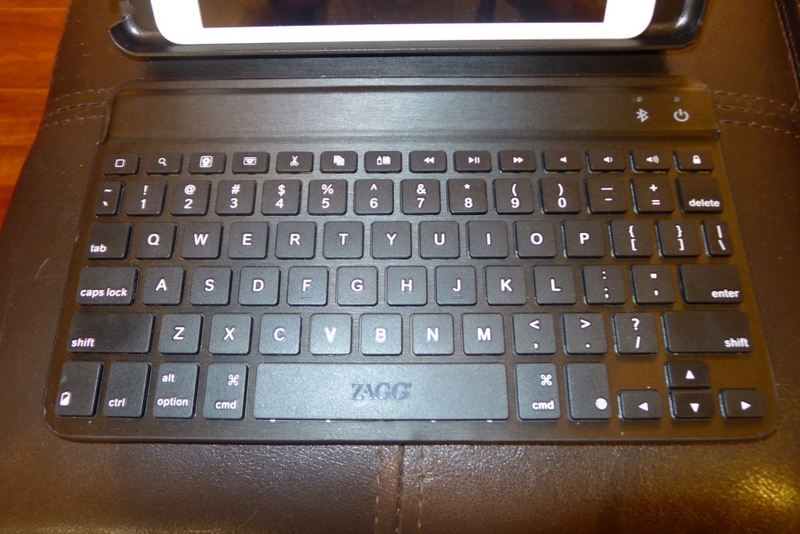 It isn't flimsy, by any means, but noticeably different from all of the other ZAGG keyboards that I have tried. 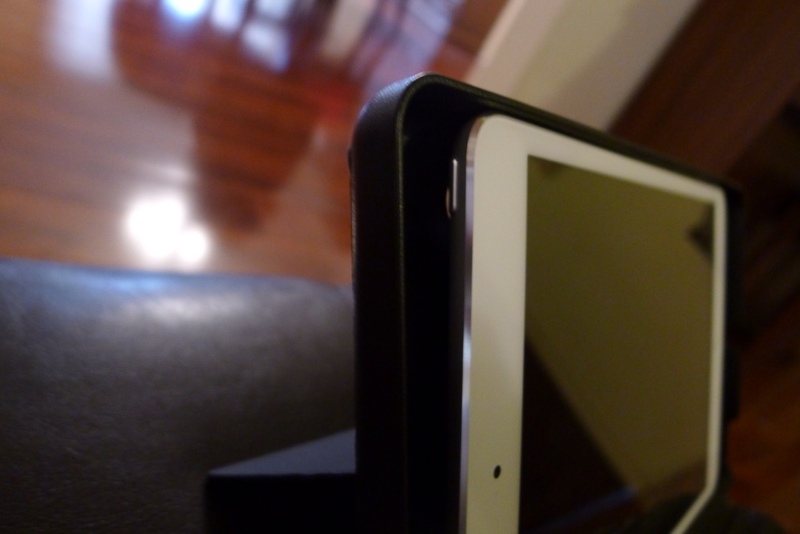 The section of the case that holds the iPad Mini is the biggest contrast between the pair. The Mini 7 is made entirely from flexible, rubberized material. It bends and moves very easily, but is definitely thick enough to provide drop protection. 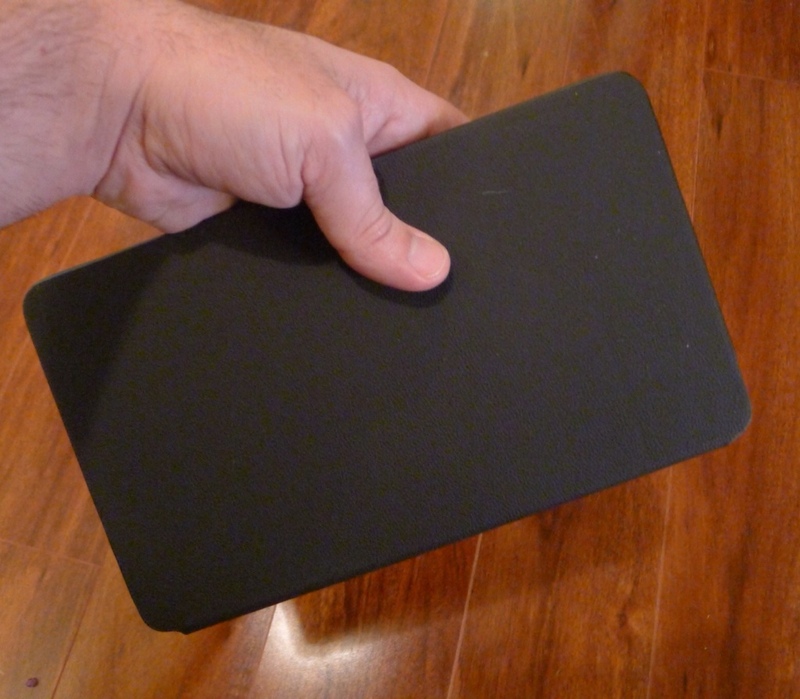 It fits easily over the iPad Mini's sides, and allows you to get the tablet out again without any trouble. On the other hand, the 9″ model's construction is completely different from its little brother. Not only is it bigger, but the construction and materials are also different. While the exterior and kickstand are also covered with the same rubberized material as the 7, the shell itself is rigid plastic, giving it a much more rugged and solid feel. However, I think this may come at a small price. With most ZAGG keyboards, you will have no compatibility issues with full-body skins, such as their own InvisibleShields. However, the hard back of the 9 grips the sides of the iPad Mini so tightly, that installing and removing it without damaging a rear skin seems nearly impossible. 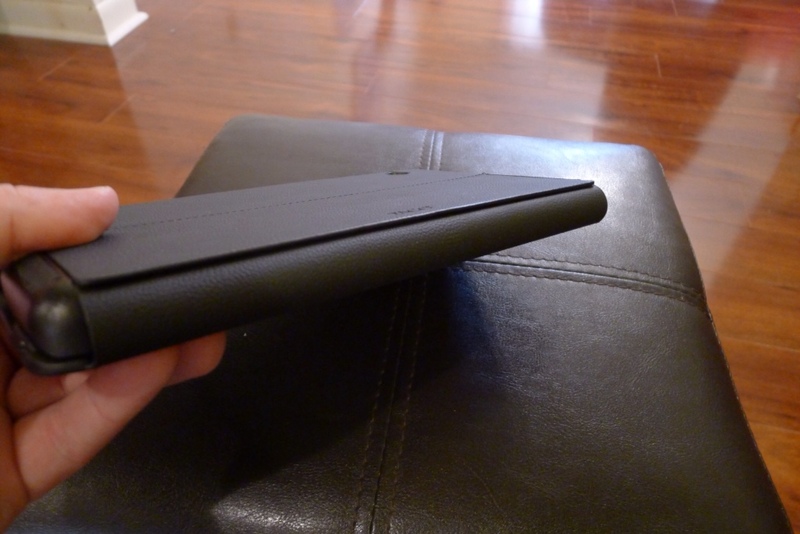 With the Mini 9, the iPad snaps in, rather than sliding in like with ZAGG's other hard shell case, the ZAGGfolio. I can't say that I've tested this theory, because I refrained from putting my current rear skin on until finished with this review, just in case I am right. However, if you plan on leaving your iPad in the case most of the time, this won't be an issue, as the back is well protected while in the case. On the good news front, using a front skin to protect your screen is no problem with either the Mini 7 or 9, and a rear skin should be fine with the Mini 7's softer, more flexible exterior. Then there is the matter of the size difference. The Mini 7 is built to fit the iPad Mini to a tee, which means that it has a keyboard that is smaller than what most people are used to, but a perfectly fitted case. 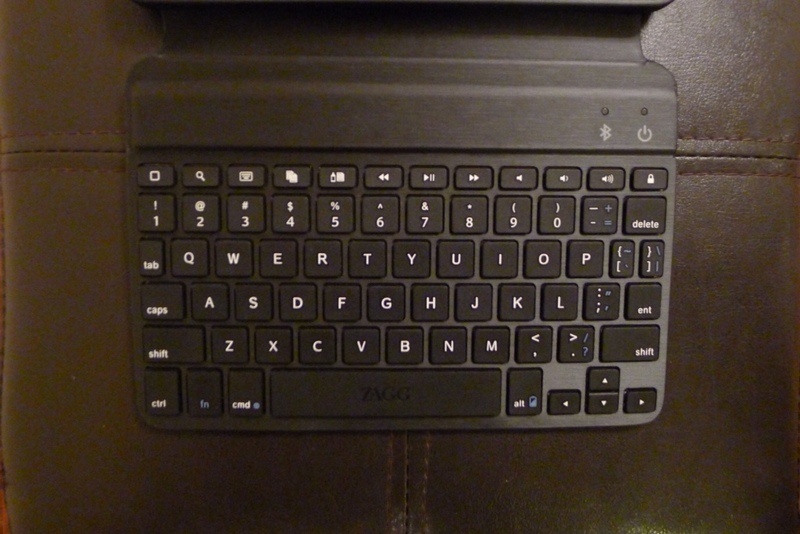 The Mini 9, on the other hand, is built around providing a larger keyboard that is much more similar to other ZAGG products. However, the larger keyboard means that the device is noticeably wider than the iPad Mini in landscape mode. 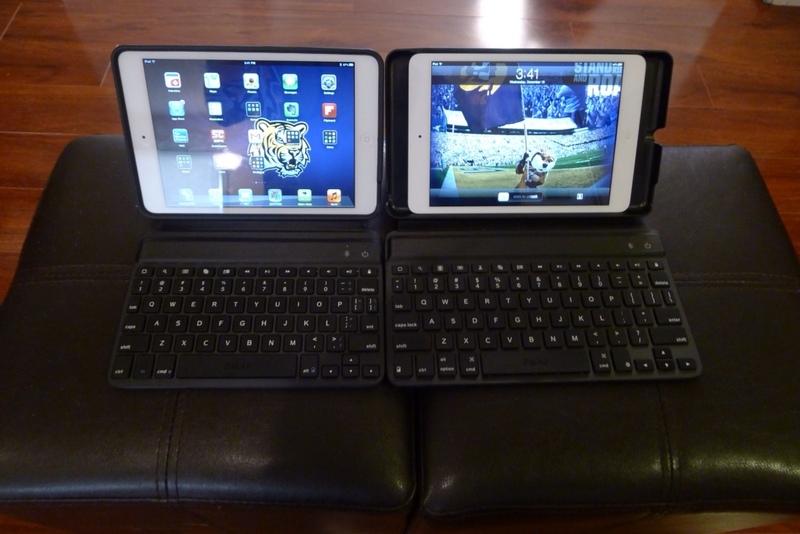 I have to admit that it is odd using a keyboard case with an inch of open space on either side of the iPad. The strangest thing about it is that there is no cutout for the power button. 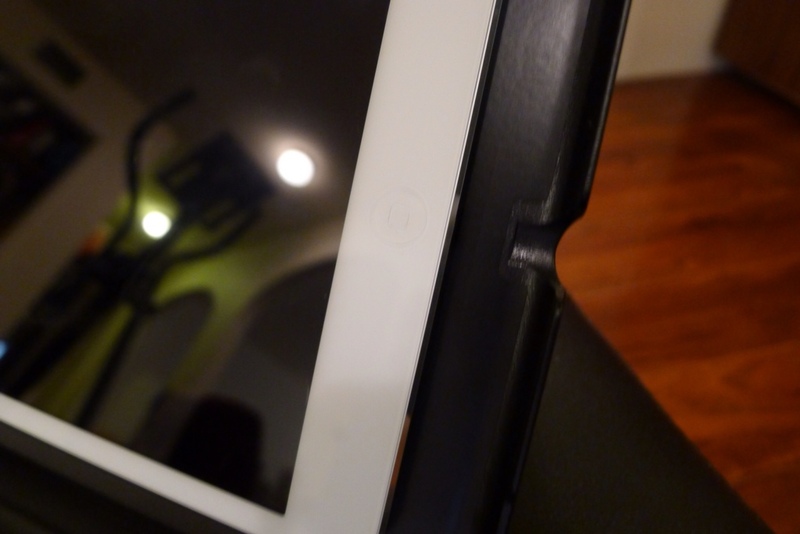 You can only hit the button by opening the case and pressing the button by reaching into the gap on the left side of the iPad. This isn't that big of a deal, but it takes getting used to. 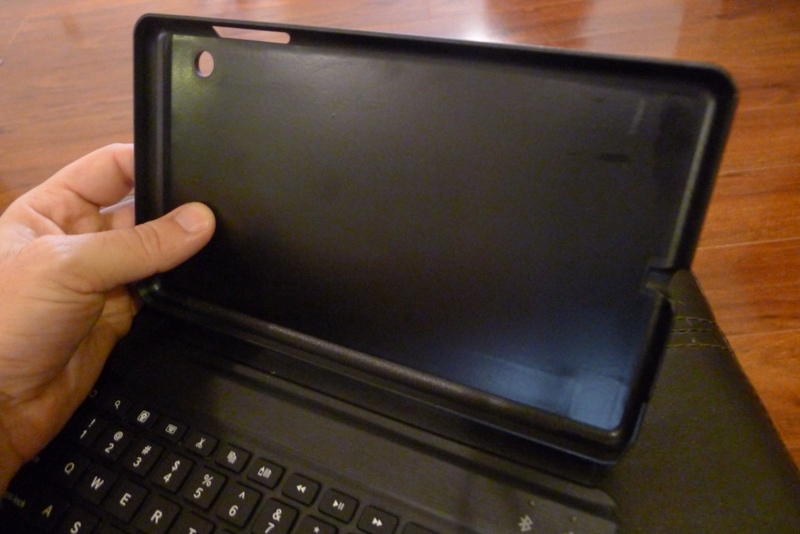 While the ZAGG Mini cases have a solid design and quality construction, there are not without some minor issues. First off, there is no clasp, magnet, or closure method for either case. This isn't a deal breaker for me, but it is a curious omission on ZAGG's part. The keyboard folds over, covers the iPad Mini completely, and lines up well enough, but the lack of some way to hold it closed just leaves me feeling a small lack of security. It's easy enough to hold such a small case closed without a clasp or magnets, but I don't see why you should have to. Both cases would feel a bit more complete if they would stay closed on their own. Another head scratcher is the lack of Smart Cover-style magnets that take advantage of the iPad Mini's auto on/off feature. Considering that both ZAGG's ZAGGfolio and ZAGGkeys Pro have this capability, it's quite odd that it is absent from the Mini 7 and 9. Since this feature has become a mainstay of most competing products, it just seems like a miss to leave it off. And now for the main attraction. Let's be honest. No one buys one of these cases unless they are looking for a good keyboard solution. Now, both Minis can function as cases when the keyboard is not in use. 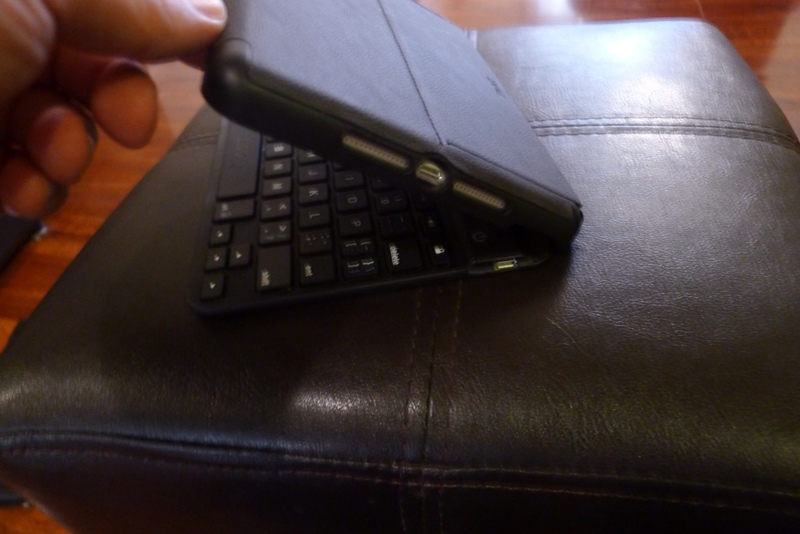 The keyboards can be turned off and folded back behind the rest of the case, so that the iPad Mini can be used in portrait orientation. This works particularly well with the Mini 7's smaller size. These aren't the best cases for this use case by a longshot, but this does work. Again though, the keyboard is what really makes or breaks cases like the Mini 7 and Mini 9. With all that said, my experience with the keyboards of the two Minis was definitely different. I started off with the Mini 7, which ZAGG sent to me for this review. After unboxing it, quickly looking it over, and popping my iPad Mini into it, I spent plenty of time with the keyboard over the next two days, including writing the first half of this review with it. The experience wasn't perfect by any means, but after getting used to the tradeoffs of the 7, I found it to be more than acceptable. To be clear, I knew going in that a 7″ case was going to have a small, cramped keyboard, so I tempered my expectations accordingly. I wasn't expecting the world when I started using it for testing, but I was expecting the same exact kind of feel and responsiveness that I am used to from other ZAGG models. However, this isn't quite case with the Mini 7. The keys are the same island-style design that ZAGG has been using in its designs over the last year. However, the keys themselves are just a bit more stiff than what I am used to with the ZAGGkeys Solo and Pro models. Combined with the small size of the keyboard, this takes getting used to, but in the end, I found the end result very worthwhile. 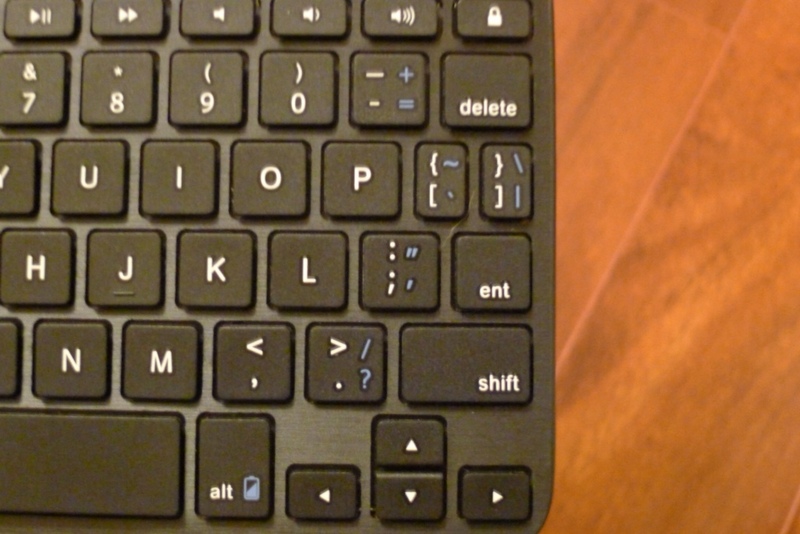 If you are used to a small netbook keyboard, then the 7 won't be too much of an adjustment. If not, then just give it a little time. It gets better with practice. This actually isn't the only issue to be aware of with the Mini 7 keyboard. Because of the small size, ZAGG also had to make some tradeoffs in key positions to fit everything in. Most of these aren't too much of an imposition, but having to press and hold the fn key to get symbols as common as the apostrophy and quotation mark is a pain. This actually took longer to get used to this than the key response and smaller size, because it requires thinking about your typing, which is such a rote and feel response for most of us. I have to admit that, despite its inherent tradeoffs, the Mini 7 is far better than the other 7″ keyboard cases that I have tried. That obviously isn't saying too much, considering how horrible most of them are, but it is worth noting. 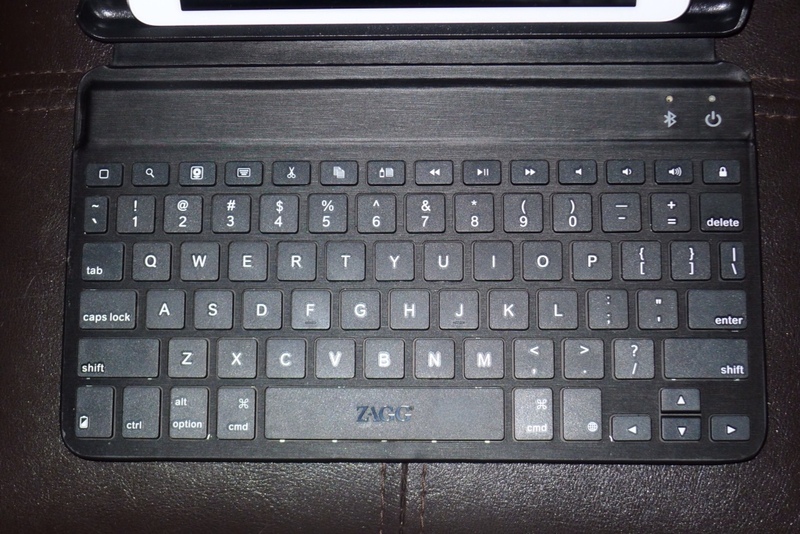 ZAGG usually comes out ahead of the majority of the keyboard competition, and this category is no exception. After my experience with the Mini 7, I decided to pick up a Mini 9 as well, and see if there was any difference in the keyboards besides the size. Even though the Mini 7 is better than any other small keyboard case I have used, and the 7 and 9 share the same keyboard base and overall construction (which I verified with ZAGG PR), there is a noticeable difference between how they feel. Not only is the Mini 9's keyboard closer to the size of other ZAGG keyboards that I have used in the past, but the key action and responsiveness are much more in line with its predecessors, as well. It's not daylight and dark by any means, but if you use the two side by side like I did, it's noticeable. Part of this difference may just be because of the comfort and familiarity of the 9's larger size, combined with its standard key layout. It just feels better and more familiar, all around, than it's little brother. However, after an extensive amount of side by side testing, I also feel that the keys of the Mini 9 are actually a little more responsive and less “mushy” than those of the 7. So where does this put the Mini 9, in terms of other ZAGG keyboard products? I would still put the ZAGGkeys Solo, ZAGGfolio, and Logitech Bluetooth Keyboard Case by ZAGG (which all share the same keyboard size and overall design) firmly at the top of the list, with the ZAGGkeys Pro and Pro Plus just behind. The Mini 9 is just a notch behind these already established products, and if you have read any of my past reviews, you will know that there is no shame in this. It is in VERY good company, and holds its own very nicely. In the end, I can definitely recommend both the ZAGGkeys Mini 7 and Mini 9, even if for different reasons. The Mini 7 is ideal for users for whom the size, quality and protection of the case and the keyboard are on the same level. It will be a great fit for those who aren't planning on doing tons of typing, but would like a keyboard with them for those times that they need it. Also, it makes a great, more mobile “second keyboard” for those like me, who already have a full-sized Bluetooth keyboard for use with their iPad Minis. 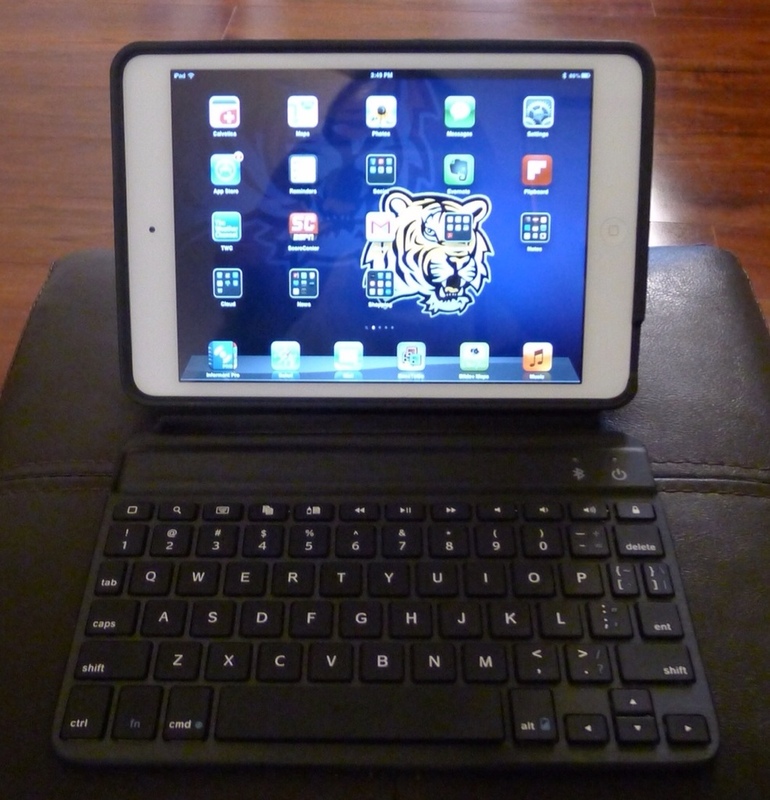 The Mini 9, on the other hand, is geared more towards those who need a great primary Bluetooth keyboard for their iPad Mini, and plan to do a lot of typing with it. The case, while it actually provides a bit more rugged protection, isn't as suited for all-around use due to the fact that it is longer than the iPad Mini, making some cable connections and holding positions a little unorthodox. However, the keyboard makes up for all this, with its great combination of size, feel, and standard layout. So, both the Mini 7 and 9 are definitely worth the price. They are not perfect products, by any stretch. The 7 has a small keyboard with some non-standard key placements, and 9 can be awkward to hold, and isn't the best choice for all-around use. Also, neither keyboard has a closure method or auto on/off magnets. However, both more than make up for their drawbacks thanks to their attractive strengths. As for myself, even though I much prefer the keyboard of the 9, I will probably be sticking with the 7. As I said before, I already have a ZAGGkeys Solo for those times when I need to do a lot of typing. I like the 7 for situations when I would like to carry nothing but my iPad Mini (instead of my normal mobile device bag that I keep all of my gear in), have it well protected, and need a keyboard, I will get a lot of mileage out of this case going to meetings where I just need to take some quick notes. If you need a keyboard for your iPad Mini, and a full sized model such as the ZAGGkeys Solo isn't a requirement, then you won't go wrong with either the ZAGGkeys Mini 7 or 9. Just be sure to think about what you need and how you will use it before you pull the trigger, so you will be satisfied with your choice. On that note, I have to tip my hat to ZAGG for making the decision to offer two separate models, rather than putting out a single keyboard case with compromises. Offering more than one SKU is more complicated and costly for a company than releasing a single model, but in this case, it really was the right thing to do. Consumers definitely win with this approach, and with both models priced at a very reasonable $89.99, both Minis are also a great value. This is just another example of ZAGG continuing to be ZAGG, which is a very good thing for mobile users. The ZAGGkeys Mini 7 is available from ZAGG, as well as other retailers, for $89.99. The ZAGGkeys Mini 9 is available from ZAGG, as well as other retailers, for $89.99. The ZAGGkeys Mini 7 was provided by ZAGG, and the ZAGGkeys Mini 9 was independently purchased by the post author for review on iSource. For further information regarding our site's review policies, please see the “About” page. I went with the MINI 9 and think it was the right choice. Am having trouble snapping it securely in place but I do have a Ghost Armor skin on the back.